Benign lesions of the skull base are common in the paediatric population, and are usually congenital in aetiology. Majority of these lesions are treated transcranially exposing the patients to a number of risks. Although endoscopic endonasal surgery (EES) helps avoid many of these potential morbidities, CSF leak with its attendant complication remains a big concern. This study reports the use of the Hadad flap in the reconstruction of skull base defects in infants to prevent this problem. 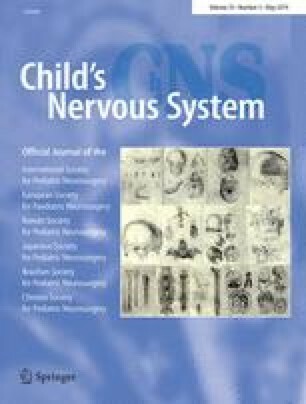 The study was conducted on four infants with a mean age of 7 months, who underwent repairs for CSF leaks associated with congenital lesions like meningocele or meningoencephalocele, using the Hadad flap. Of the four patients, three cases were revision cases and one was primary where the patients presented with complaints such as nasal obstruction and watery nasal discharge. Post surgery, the infants were monitored for a mean period of 23 months and no major complications or recurrent CSF drainage were observed. Minor complications that were observed include vestibulitis and crusting in the nose. The utility of the Hadad flap in the reconstruction of skull base defects in the paediatric age group has been controversial while its utility in infants has not been studied in literature so far. We report here in our series four infant patients in whom we believe that the nasal septum and the skull base will develop proportionally to each other, hence lowering the chances of a short flap and eliminating the occurrence of future complications. The nasoseptal flap is an effective and safe technique for reconstructing skull base defects in infancy. It can be concluded that this technique does not have any potential effect on septal or craniofacial growth as the flap is harvested only on one side with normal mucosal cover on the other side. There is no posterior septectomy or any form of bony or cartilaginous resection that is performed, hence avoiding any effects on bony growth. No studies have been published in literature so far and to the best of our knowledge, this is the first report describing the efficacy of the nasoseptal flap in infants. We would like to thank Bombay Hospital medical director, Dr. R V Patil, and HN Medical director, Dr. Gustad Davar, for allowing patient data to be published. We would also like to thank Dr. Suneel Shah, Neurosurgeon, for his help in surgery for case 3 and Dr. Rahul Verma, Paediatrician, for intensive care.